Can I answer this question with a question? (No, not that question — another one.) 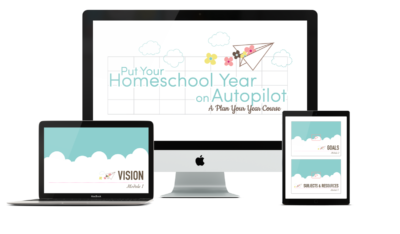 What do you want to accomplish with your homeschool schedule? Which scheduling method you use depends on what you are trying to accomplish in your homeschool. Both block scheduling and loop scheduling lend themselves well to accomplishing very different goals. 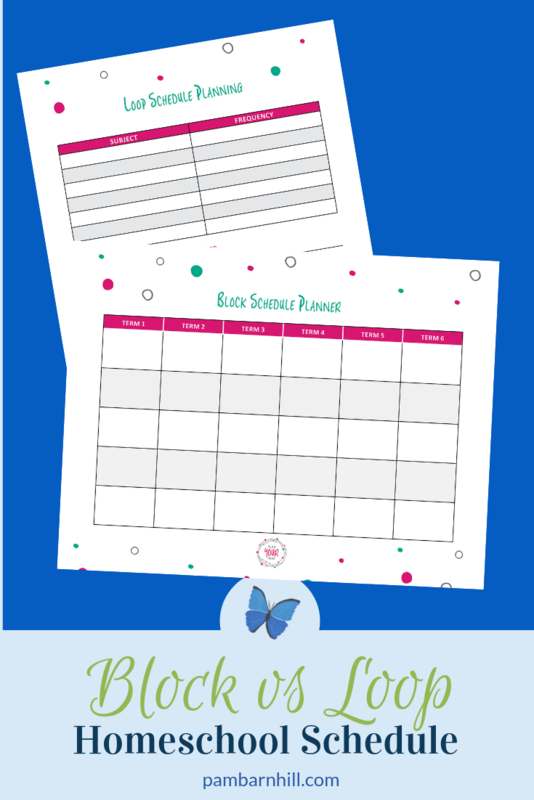 Get printable copies of both the block and loop schedule by subscribing to my free planning mini-kit. Block scheduling is used to organize your homeschool subjects in a way so you are doing fewer subjects at any given time. This allows you to focus deeper on fewer things throughout the day. Your anxiety will lower because you are tracking less at any given time and it allows you to spend more time on a subject. 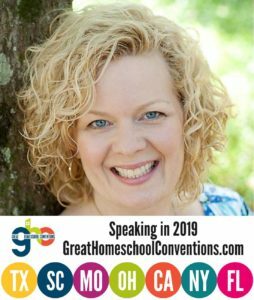 Loop scheduling, on the other hand, is a way for you to reduce the stress in your homeschool that comes from skipping or missing subjects because they are assigned to specific days. Loop scheduling doesn’t really allow you to do more or less in your day — it just allows you not to be upset by which thing you should do next. Let’s take a look at a few examples of both to see how this plays out. Planning a block schedule starts by choosing the period of time (term) for your blocks. You can have a term as long as a semester or as brief as a few weeks. Let’s say you want to do both science and history next year with your elementary students. The traditional method of doing these might be to assign two days per week to history and two per week to science. This might work great for you. On the other hand, a schedule like this could feel choppy to you. If you miss a day, you may feel like the period of time between lessons gets too large and the kids struggle with the lack of consistency. Maybe the fact that you have added two more subjects to the others you do is just too much for you to plan or collect materials for each week. A solution to all of these problems would be to use a block schedule model. You would set up science for the first semester and history the second. You would cover each subject four days a week, staying focused and moving through the material faster. If you miss a day, you are never more than a couple of days from the next lesson. Another way block scheduling can be really helpful is when you have an abundance of subjects you would like to offer your children. Let’s say you would like to have picture study, composer study, drawing practice, and poet study included in your Morning Time schedule. 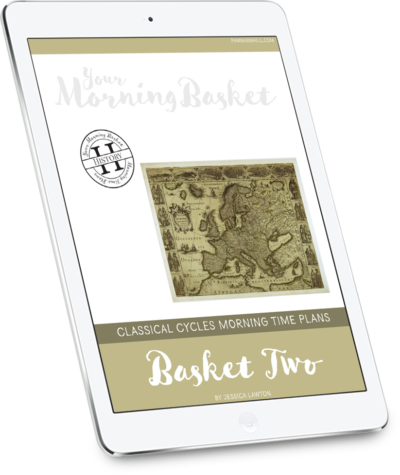 You could schedule one per day doing each once a week or instead, you could spend one nine-week term on each subject, incorporating the subject into your morning time every day or a few times a week. Neither of these are right or wrong, but different arrangements might suit different personality types better. Many subjects lend themselves well to block scheduling, not just electives. You might decide to spend one term on spelling and another on grammar. Maybe you will do a term of writing and another on literature. Either of these would work great, keeping your child focused on fewer subjects. Reading instruction, handwriting practice, foreign languages, and mathematics are better done daily to promote the practice of skills and recall, though students in high school and college often do use block scheduling to complete courses in the latter two. If your students are older, it is something you can consider. Just keep in mind that with using a block schedule for credit, more time has to be spent on the subject each day to meet the hour requirement to issue the credit. 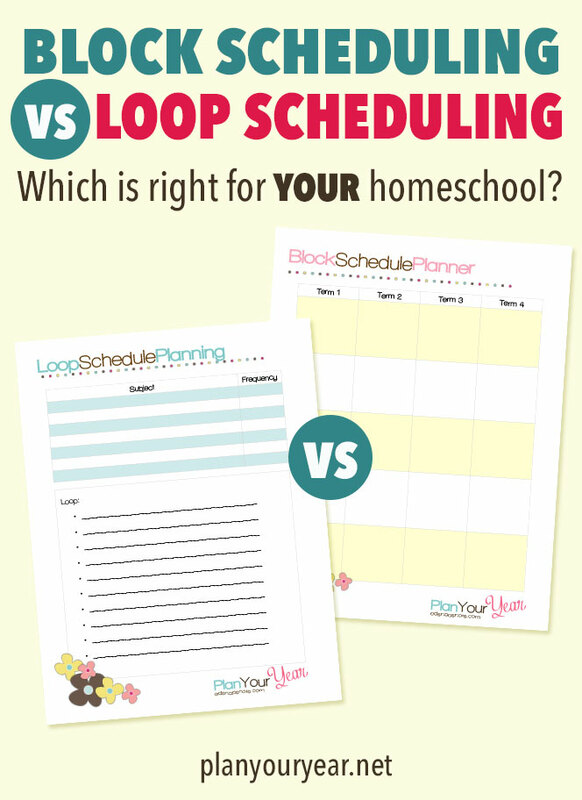 Planning a loop schedule allows you to stress less about how often a subject gets done in your homeschool. Let me give you an example. You have set Tuesday and Thursday afternoons as days for science in your homeschool. Every Thursday you have piano lessons at 2:00 and it seems late starts or disruptions happen more and more often, meaning you never have time to fit science in to that day before you have to leave. You are growing woefully behind in your science studies. Loop scheduling doesn’t assign a particular subject to a particular day. Instead, you have a list (loop) of work that you do during a certain time period. When it is time to work, you simply move to the next subject on the list and start there. Let me show you how this could work. Let’s say you wanted to do history, geography, nature study, and science with your students on a regular basis. You know on any give day you have about an hour to spend working on these content area subjects. On Monday, you might sit down and do a history assignment that takes 45 minutes. Then you use the remaining 15 minutes to do a quick map drill for geography. The next day when you sit down to work, you move next to nature study. You might read a selection from a book and then go outside and observe a tree, putting a drawing in your nature journal. That takes up the entire hour of your time. Wednesday the washing machine overflows and you get none of this done. On Thursday, you can move right into a science experiment and lab report which take about 30 minutes and then spend the other 30 reading the next chapter in the history book and listening to a narration. What will you do on Friday? Begin with geography, of course. You see that Wednesday up there? That totally doesn’t stress you out (well, school-wise anyway) because you haven’t missed anything. The next day you just pick up where you left off and do the next thing. That is just a simple loop example. The beauty of the model is it has so many applications, including playing with the frequency of the subjects in ratio to each other. If it is something you are interested in find out more about, Sarah Mackenzie and I have a free webinar where you can do just that. We recorded it earlier this spring, but you can grab the replay here. 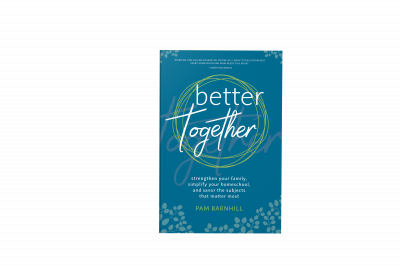 If you have a question, just drop me an email since the chat box is no longer active — pam@pambarnhill.com. So which do I use in my day? Block or loop? Honestly, I use both. I use block scheduling for some parts of my day because even though I want to spread a wide feast for my kids it makes me crazy to have too many things to do at once. I use loop scheduling for other parts of my day because I hate the stress of being behind. And for skill work, we use plain old traditional scheduling where we pull out the books and get to work each and every day. Great webinar! I had not heard of a “loop schedule” prior to listening. I think I may give it a try for our bible/spiritual studies. 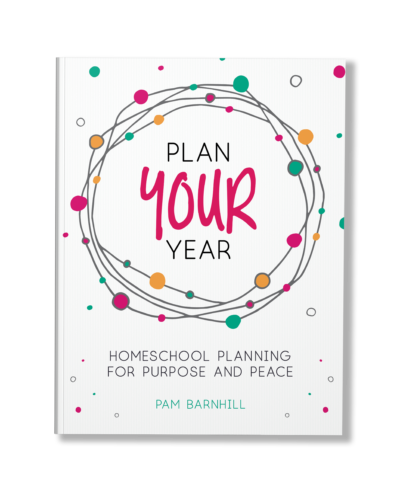 Block scheduling has revolutionized our homeschool, but I still loop a few things. I’m in love with block scheduling right now though! Excellent comparison of both options, Pam. Just finished the rebroadcast of the loop planning. I picked up your planning kit as a freebie a while back and I just couldn’t quite get my brains around it. The webinar was so helpful. I would like a block webinar too, if you can work it out. Hi – I listened to the webinar live, and I received the email with the schedule samples. However, my computer crashed and I’ve lost the files. I have also lost the free mini planner, which I signed up for a 2nd time but never received. Is there any chance you could send me an email with the webinar files? I can’t recall the password for the mini planner kit. Thank you for any help! I have requested the webinar replay twice, but to two different email addresses, but it never arrives (I’ve checked spam folder too) 🙁 Do you have any way to contact them so I can get it? I really, really want to see it 🙂 THANKS! of course it just showed up … lol … my car is at the mechanic … I bet it doesn’t have a problem either! LOL 🙂 thanks! 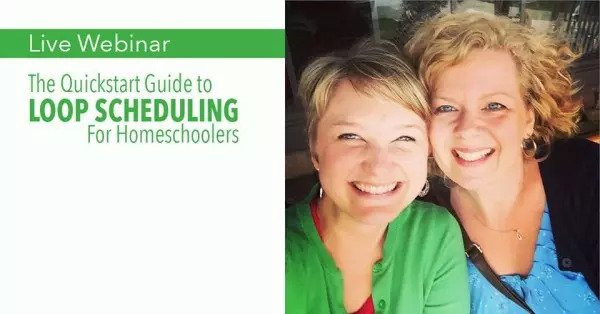 I really liked how you explained block scheduling in your webinar. I am going to try it this year. I have so much I wanted to do and not sure how to fit it in. I’m very excited about this new way of scheduling. Thanks!! This is a very interesting idea, I am glad I popped over from Weird and Unsocialized Homeschoolers. 🙂 She linked to this post about scheduling, which is a great resource, thanks for sharing! I guess maybe what I find works best for us might fall under block scheduling, but I’m not sure. I simply make a list of the skills / topics that we need to cover (using state standards as a loose guideline – I figure they are at least somewhat age appropriate) and divide them up throughout the year in a somewhat logical order. I’m not required to submit curriculum choices, so I use whatever is available to me that works best at the time. For instance in math, one of my daughters is learning subtraction facts. If I’m available, we use manipulatives. If I’m busy, she uses Hooked on Math or file folder games. If she’s at Grandma’s it’s easier to send flash cards. It allows me to use a variety of learning styles, and she doesn’t get bored with the same thing every day. Additionally we work on different aspects of the same subject on different days of the week for about a month at a time (or however long it takes her to become proficient). One day she’ll work on subtraction facts. Another day she’ll work on measurement. Another day she’ll work on extending patterns. I plan skills / topics by the month (in case we need extended time to work on a skill for whatever reason) and methods by the week. I just tailor the lesson and method to whatever is going on outside of school in our household for each day. Yes, just create a math block everyday on your schedule. Then you have your list of current ideas you are using to teach. Then each day choose which one she will do. You could do it on a loop too. It would work with either one. Pam, You are such a blessing, thank you for taking your time to share this with us. I was overwhelmed with all I want to offer regarding the arts (music & artist study) and looping might be that solution, as you discussed. Shehla – So glad to hear the audio is helping you out! Great podcast Pam, all the examples you gave were helped me to envision how this would work gif our family. Hello. Thank you for all you do to help us parents. I’m starting my second year with an average 10yr old boy who hates home schooling. With me not knowing ANYTHING about home schooling I jumped in head first. I have been doing as much research as possible this past year and now will TRY to put together a better curriculum than last year. Your intro says you could possibly help me choose a curriculum. I am going with Teaching Textbooks for Math and using great books from our local library for Tennessee History but my question is what curriculum would be best for Language and Science. He’s fantastic at Spelling and very good at Science as well. He learns best through videos and hands on but reads and retains information very well. Is this webinar still available? Hi! I love the idea of the Loop schedule. Considering Highschool credits, it doesn’t seem like it will work when we need to fulfill credit hours. Am I thinking about this right or have you found a way to accomplish the Loop schedule with Highschool subjects?